With such a wealth and strong history of British playwrights, it’s rare for European plays to be performed in this country. 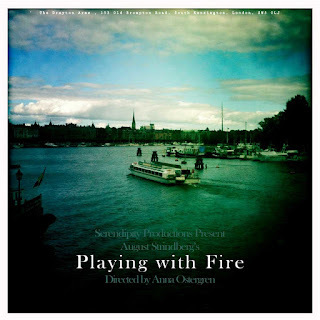 As with her previous production of Fräulein Else, director Anna Ostergren and Serendipity Productions bring something a little different to the London fringe theatre scene with this new translation of Playing With Fire by the prolific Swedish playwright August Strindberg. This erotically charged one act play presents a stark look at human passions, revealing the thin line between love and hate. Strindberg is known as a theatrical experimenter, but Ostegren chooses to keep things simple in this production. The set is basic, the props are minimal and the lighting is often a little too dim. 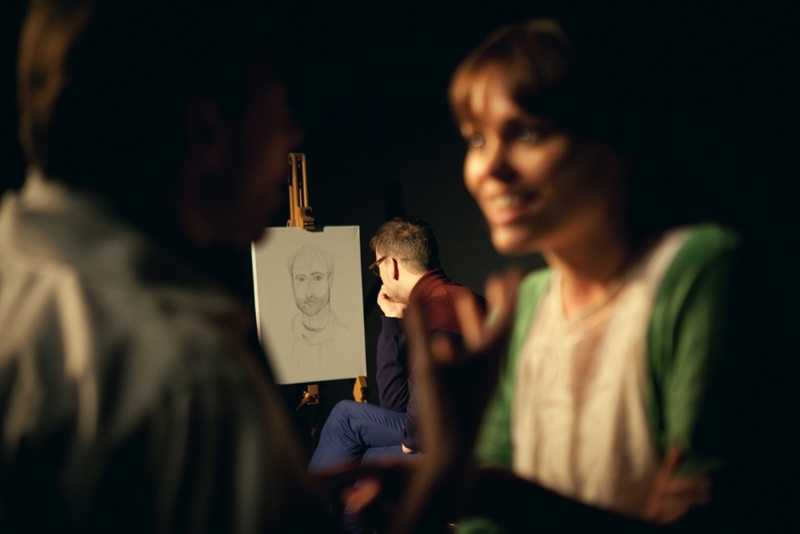 Alongside the contemporary costumes, the set allows the audience to create their own sense of space, highlighting the relevance of this personal human drama to a modern audience. The production, however, feels a little indistinct. This does put the acting and plot into sharp relief. At the centre of the plot is the love triangle between Knut (Andrew Paxton), his wife Kerstin (Tallulah Sheffield) and best friend Axel (James Heatlie). 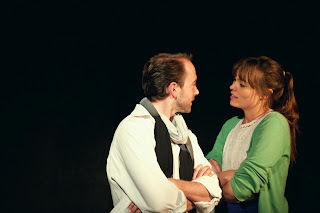 Drama builds from the passionate relationship between Axel and Kerstin, who argue and declare their love in equal measure. 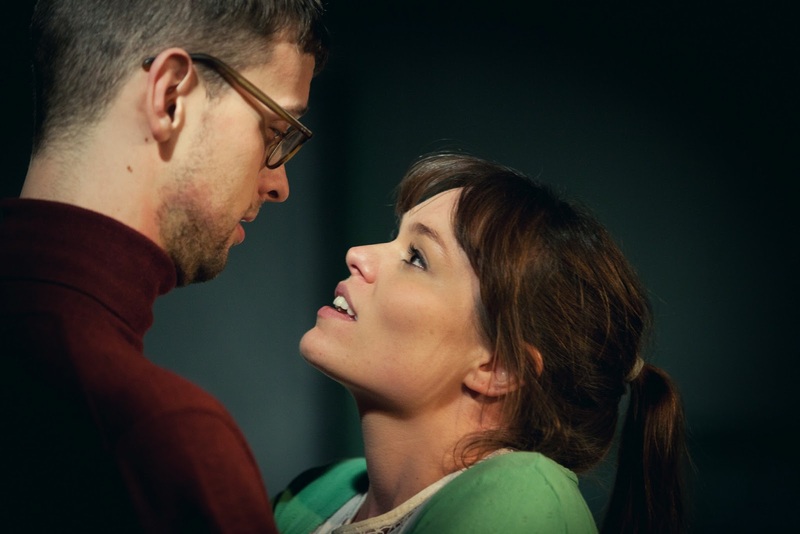 Their relationship yo-yo’s a little too suddenly in this swiftly moving script, whilst Knut’s willingness to give up on his marriage undermines the warmth the couple exude in the early scenes. Despite some unlikely twists (which perhaps attest to the unpredictability of human nature), the acting remains naturalistic and credible throughout. With characterisation at the heart of Playing With Fire, the success of the play depends on well-realised performances - Heatlie and Sheffield, in particular, displayed a palpable intensity, with Paxton an imposing presence even when off-stage. By comparison, the remaining three characters were thinly drawn. At just under an hour long, Playing With Fire is a bite-sized dissection of marital relationships. Whilst the production would benefit from a more vivid setting, the drama and characterisation are meaty enough to have you pondering well after the curtain call. 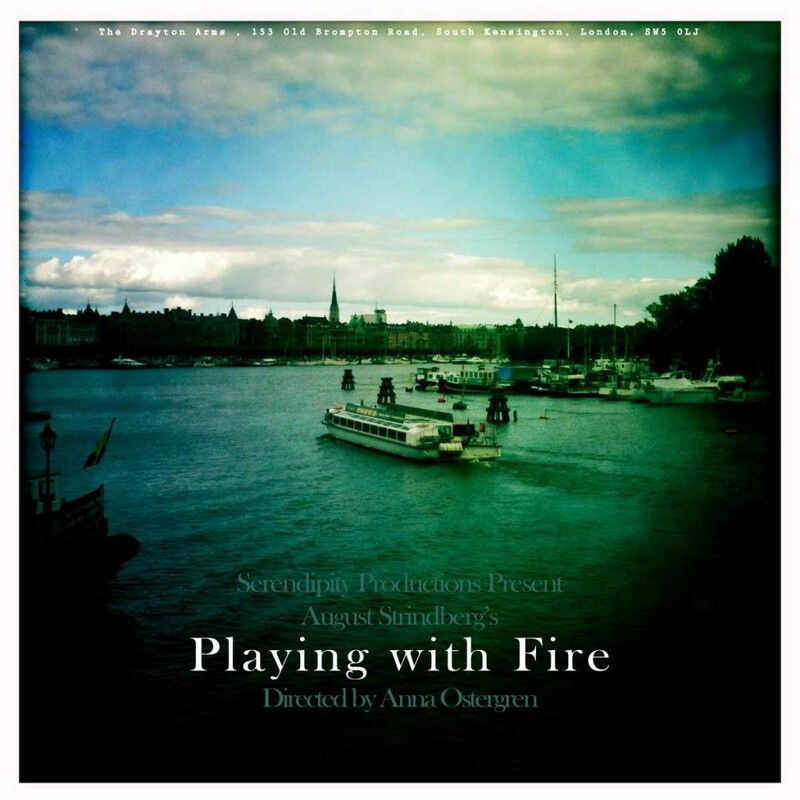 Watch: Playing With Fire is performed until June 22nd at the Drayton Arms Theatre.